Megan M. Lyons, Esq., is an attorney based in Florida, with offices in Orlando and Miami. Megan recognizes the stress and despair that legal problems creates, especially when her clients are suffering from narcissistic abuse. She advocates holistic healing through meditation, yoga, art and other forms of creative expression, and believes that these techniques can empower clients in their court battles. Megan previously presented the Lovefraud CE webinar, How to Navigate a Court Proceeding when the Opposing Party Is a Sociopath or Cluster-B Disordered Individual. You can take this program immediately on demand. The webinar is 60 minutes long, including five minutes for questions and answers. You’ll also gain access to a special forum just for the people in the course, where you can share your experiences, ideas and gain moral support. Plus, the webinar will be recorded, and afterward you’ll be able to review the information as often as you like. I can offer a little feedback; my divorce lawyer suggested I go get a restraining order; he was worried that with husband being bi polar, maybe not stable or taking meds, that he might ‘flip out’ and cause trouble. I went to the judge’s chambers, and filled out the papers. My request was denied, not enough proof that he was a danger to me. I called the lawyer, who promptly got me a restraining order good for the duration of the hearings/court days until the divorce was final. That was fine, except I was threatened a few months AFTER the divorce became final. I called my lawyer, who urged me to get another restraining order, but I didnt do it. I wasnt threatened again, however. If I had, I would have gotten another one. Our present culture has become the breeding ground for sociopaths. We even don’t know that a sociopath might be living next door. Many must have faced them and got into legal trouble. 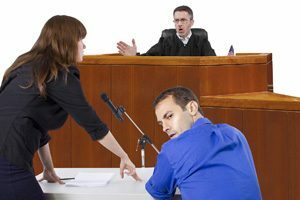 The restraining orders can be obtained from the court by hiring a good lawyer and showing strong evidences against the person. Lawyers like http://www.yelp.com/biz/tarabay-bechara-paris are really very helpful in dealing with such serious issues.